Founder & CEO of PEAK Learning Inc.
— Paul G. Stoltz, Ph.D. 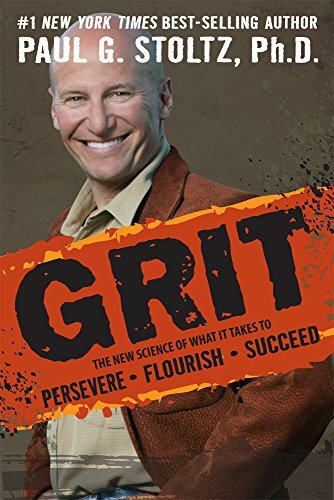 Founder and CEO of PEAK Learning, Inc.
Dr. Paul G. Stoltz is the world's leading authority on the integration of grit, resilience, and the human interface with adversity. He is the founder and Chief Executive Officer of PEAK Learning, Inc., as well as the originator of the AQ® (Adversity Quotient®) and GRIT™ theories and methods, used at Harvard Business School, MIT, and Fortune 100 companies worldwide. He resides with his extended family in the coastal mountains of San Luis Obispo, California. Scott facilitates complex interdisciplinary STEM projects with a focus on developing GRIT in students. He started his career as a small business owner, electrical engineer, and renewable energy systems consultant before serendipity guided him to a second career in teaching. After starting his teaching career at High Tech High, Scott went on to found a Project-Based Learning and Social and Emotional Learning consultancy called GRITLab and is now the assistant director of the Innovation Lab at The Nueva School. Scott's work with students has been recognized in the documentary films Most Likely to Succeed and Beyond Measure as well as by the Paul G. Allen Foundation, Google, San Diego Foundation, Aerospace Physiology Society, McGraw Hill, Education Week, and the Teaching Channel. In his free time, Scott enjoys pondering, writing, and lecturing about constructivist math education, reaching introverted students, high-quality student work, and designing a feasible alternative to college.